Gujjar Protests, Rajasthan: A team of doctors conducted his medical check-up at the sit-in site in Malarna Doongar after Kirori Singh Bainsla felt uneasiness. 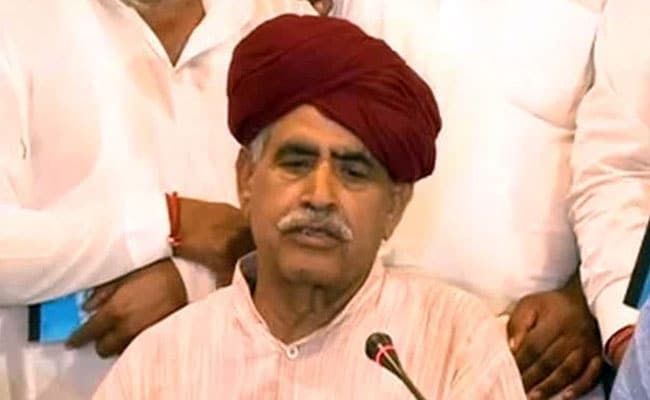 Gujjar leader Kirori Singh Bainsla, who is on a sit-in in Sawai Madhopur district along with his supporters since Friday demanding five per cent reservation for Gujjar community in jobs and education, fell sick on Wednesday. A team of doctors conducted his medical check-up at the sit-in site in Malarna Doongar after he felt uneasiness. Meanwhile, IAS officer Neeraj K Pawan held talks with Kirori Singh Bainsla at the site and informed him that the government has introduced a bill to provide reservation to Gujjars and other castes. However, there is no sign of Gujjars calling off the agitation. The community leaders have blocked Delhi-Mumbai railway tracks and several highways and roads in Rajasthan to press for their demand.